So You Want to Drive a Tractor Sep 02, 2014 The joy of all inner four year olds (and the bane of all motorists) tractors continue to be the quintessential icon of farming for generations of children,.. Thank you for your question. Our courses have been specifically developed to be studied by distance learning only. The course is accessed online, but the learning materials are downloadable for working offline. The exams at the end of each module are written (not online), which you take at a time and place of your choosing, for example at home, or at your place of work. Your assignments also help make up your final grades, so it is not necessary to travel to a centre anywhere. The exam is more a final assessment, than a pass/fail examination. For more information on how the exams are administered, click on the links below. Please note that there is a final project alternative to the exams if you prefer. The subject of the project is agreed between your tutor and yourself after you have completed all of the assignments and you can elect to take this option at any time. I hope that this answers your question sufficiently Marelize. There is a graded written assignment after each lesson and once you have completed the lessons and assignments for a module, there is a one and half hour written exam. There are six modules in the Diploma, so six exams to complete. Please click on the links below for more details. Please let us know if you need anymore information. 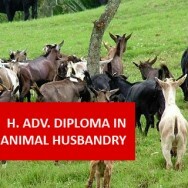 The qualification has been recognised. Your qualification will be endorsed and issued by TQUK (Training Qualifications UK) for which The Academy for Distance Learning is a recognised centre. TQUK is an Ofqual Approved Awarding Organisation and ADL's recognition number with TQUK is:1709318. In order to maintain our Recognised Centre status, we are subject to yearly EVs (Evaluation Visits) to ensure that we conform to, and are meeting the high standards demanded by a company listed on the Ofqual Register. When it comes to describing your qualification on your CV, you should state that your qualification has been issued by an Ofqual Approved Awarding Organisation. Any employer will be able to check TQUK's status on the Ofqual Register and that should be sufficient for them to accept that your qualification is genuine. You will receive a certificate from TQUK with a pass, merit or distinction depening on how well you do, plus a transcript from us. The transcript will show what you learned and your assignments grades, which will also be of interest to employers wanting to know what agricultural skills you possess. I hope that this answers your questions Nathan and please come back to us if we can be of any more help. Hie..after l finish my diploma is there a graduation perhaps?secondly are there any textbooks that l can purchase when studying that you might recommend? Hello Solani and thank you for your questions. We are a distance learning academy and there are no graduation days. 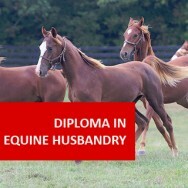 Your qualification will be posted out to your home address and sent to you electronically. There are no specific text books required and your course reading material is included with your fee. There will be further research required though, to help you to go deeper into the lessons. Hi. 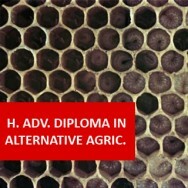 Where does a Diploma in Agriculture sit in relation to HNC, HND and Degrees in Agriculture which are offered at other places? Is it recognised throughout the UK? Many thanks. Hello Biddy and thank you for your questions. The Diploma is deemed to be a level 5 attainment as compared to the UK Framework for Higher Education Qualification (FHEQ). That is at the level of a Foundation Degree or HND. We are a Recognised Centre for TQUK UK (Training Qualifications UK), an Ofqual Approved Awarding Organisation. 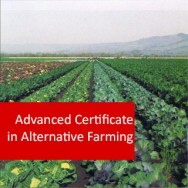 The Diploma in Agriculture has also been endorsed by TQUK. This means that any employer or University can check that them on the Ofqual Register, in order to see that our qualification is appropriate to the industry. Therefore, although there are never any guarantees in life, it should be acceptable to employers and Universities. In addition, the old saying: "Knowledge is Power", is still true, because although a qualification may get you an interview, it is what you know that will set you apart from other applicants at an interview. 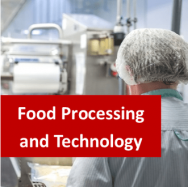 Because our courses are written to fulfill the needs of employers, you will be able to demonstrate a sound understanding of Agriculture and how to apply your learning to the work place. 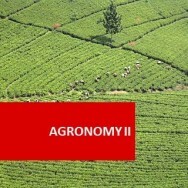 Diploma in Agriculture course online. 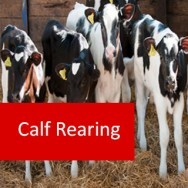 This course will teach you how to work on a farm, or how to run your own. It is ideal for those already working in the agricultural industry, wanting to up skill and improve their career prospects. sons and daughters who are taking over the family farm from their parents, or anyone wishing to develop a career in farming. 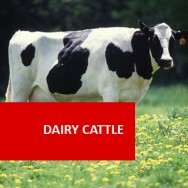 The 3 Compulsory core units will equip you with all the basics needed for general Animal Health, Agricultural Marketing Skills and Farm Management. After you have completed the core elements, you will be able to choose 3 modules from a choice of 11 specialised courses, including: Agronomy,Aquaculture, Beef Cattle, Calf Rearing, Dairy Cattle,Horse Care, Pasture Management, Poultry, Pigs, Sheep, and Soil Management (Agriculture). "Thank you very much for that. 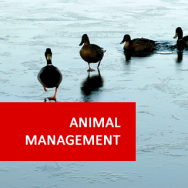 This Diploma in Agriculture is endorsed by TQUK - an Ofqual approved awarding organisation. 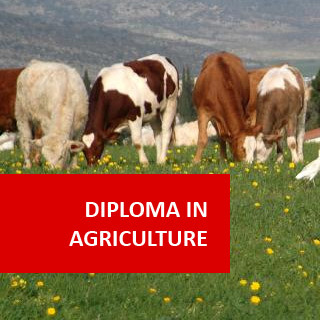 The Diploma in Agriculture is a 600 hour course comprising of 6 x 100 hour Certificate modules. Click on each module to view detailed outlines. Please Note: that each module is a certificate in its own right, and may be studied separately. Click on each module to see a more in-depth description of what each course will teach you. It is recognised. 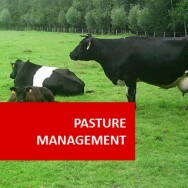 The Diploma in Agriculture has been endorsed by TQUK - An Ofqual Approved Awarding Organisation. Potential employers and universities, will be able to check their member status on the Ofqual Register of Organisations. (Change the drop-down bar from Qualifications to Organisations and type in TQUK in the box that says: Enter text here).